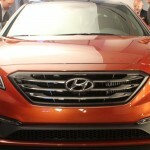 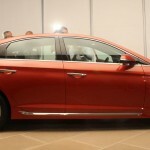 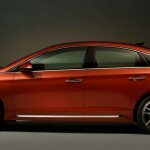 The 2014 New York Auto Show is glad to welcome the 2015 model Hyundai Sonata that comes with a new different approach in terms of body language and style. 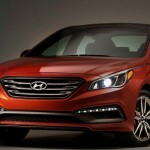 We are looking at a more daring and mature Sonata, which seems to have gotten the fine touch of the automaker`s “Fluidic Sculpture 2.0” design, also seen in the smaller Genesis. 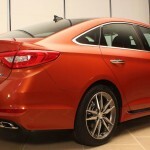 Along with this Fluidic Sculpture 2.0, the 2015 Hyundai Sonata loses the old swooping lines, coming with some new straight edges and new angles that are now harder and more noticeable along the beltline of the car. 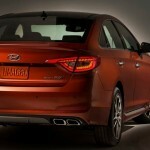 More than that, there are other tweaks that make the car more mature, like the new grille coming with wider air intake and a more athletic stance with steeper roofline or quad chrome-tipped exhaust ports. 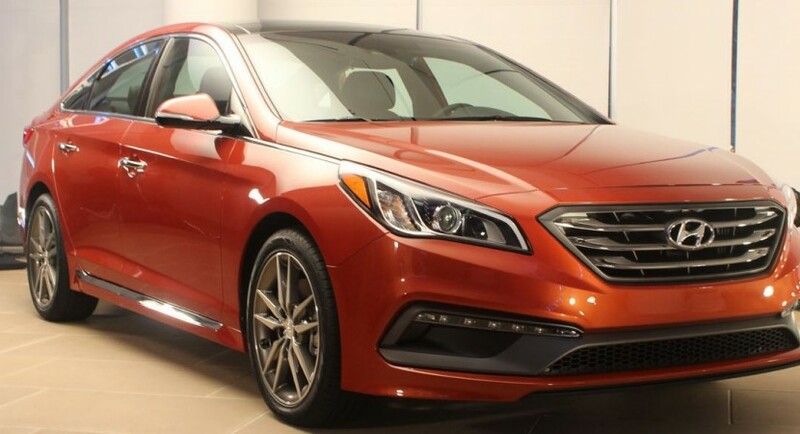 Another fine characteristic of the 2015 Hyundai Sonata is its retouched headlights that are now in the form of a wing, with a wonderful orange color being displayed over. 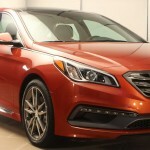 Under the hood, the 2015 Sonata bares the same engine lineup, which is a 2.4-liter four cylinder a well as a 2.0-liter turbo-four unit. 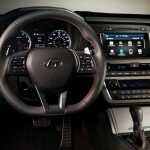 Both units have been considerably upgraded to deliver more power and performance.